Personal Injury Lawyers Walker & Buchholz in Manchester N.H. have over 20 years' experience in Personal Injury, Medical Malpractice and Divorce Law throughout Manchester New Hampshire and surrounding areas. Attorneys Walker & Buchholz have also helped clients in areas of workers' compensations claims, social security benefits, all types of family law matters including child custody representation, child support, property division and more. We are dedicated to obtaining the best possible resolution on behalf of each and every client. We work directly with our clients, providing personal and hands-on attention. Do you have a legal need involving a personal injury claim, medical malpractice, workers' compensation claim or family law problem? Call Injury Lawyers Walker & Buchholz, P.A. in Manchester NH at 603-634-5090 to schedule your free initial consultation. The Law Office of Walker & Buchholz, P.A. located in Manchester, New Hampshire represents clients throughout the state. Our personal injury and workman's' compensation practice helps people who have sustained injuries in motor vehicle accidents, by defective products, by medical carelessness, on dangerous properties, in construction site accidents, at work and in other accidents. 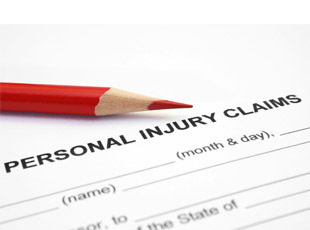 We seek fair and full compensation and benefits on behalf of our injured clients. We handle medical malpractice claims arising from the negligence of physicians, nurses, surgeons, surgical technicians, hospitals and other medical professionals and entities. We represent people and affected family members whose lives have been harmed by a late diagnosis or misdiagnosis, birth injuries, surgical errors and other occurrences where the standard of care has been breached. Our family lawyers and divorce attorneys will provide strong advocacy during difficult times. We seek fair and enduring settlement agreements that involve child custody , child support, property division, alimony and other items. What Is Your Legal Need? The Legal Team at Walker & Buchholz, P.A. Can Fight For You. Contact Us Today To Schedule Your Free Initial Consultation 603-634-5090.